For the second time in three years a team of UH West Oʻahu and Honolulu Community College students and recent graduates has won the National Cyber League competition, considered to be the country’s leading collegiate educational cybersecurity challenge. In late April the group known as Validity outperformed 263 other teams to take the top spot in the Spring 2018 competition. Two other groups from Hawaiʻi — the Grey Hats team from University of Hawaiʻi at Mānoa and another team from UH West Oʻahu — finished fifth and 17th respectively. 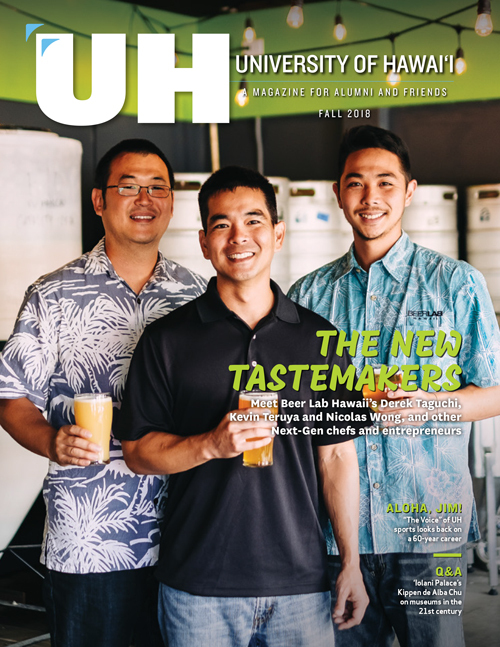 Validity consisted of four recent UH West Oʻahu and Honolulu Community College (HCC) graduates (Team Captain Jayson Hayworth, and Bryan Tanaka, Gabriel Farinas and Tim Gunderson) and a current UH West Oʻahu student, Taylor Kina. The group had nearly a perfect game in earning 3,000 out of a possible 3,000 points with more than a 97 percent accuracy rate. “We all played with each other on teams before and understood how to play to everyone’s strengths and weaknesses,” said Tanaka. “ It made for a great team composition”. The National Cyber League provides a cybersecurity training in a simulation environment requiring participants to work individually during the regular season events and in teams for post-season competition. The events are designed for participants to solve real problems with actual deadlines under time, technical and resource constraints. Some 3,350 college and high school students competed during the Spring 2018 regular season, with 981 of these moving on to post-season competition in teams. Validity worked on problems ranging from Password Cracking and Wireless Access Exploitation, to Open Source Intelligence and Log Analysis. It had hoped to achieve a 100 percent accuracy rate but knew the goal was elusive. Hayworth said the team will continue to work on its documentation practices and figuring out how not to miss an answer. That is part of the team name. “We named it Validity ensuring that everything we do is verified and corrected by each other. That same process we utilize when submitting answers to challenges.” said Hayworth. 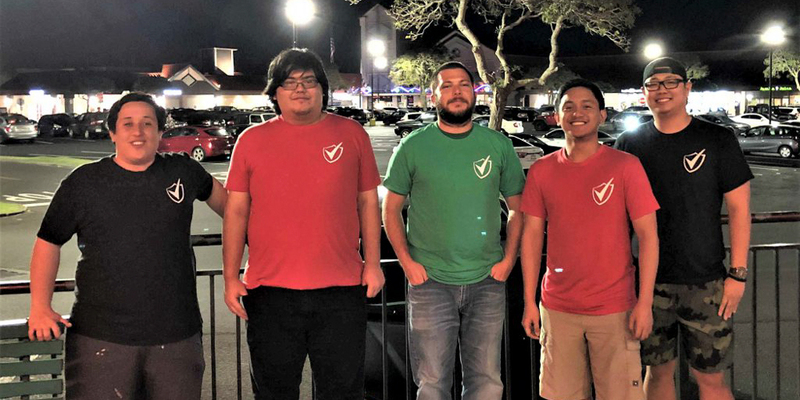 All five members of Validity were members of a UH West Oʻahu Hawaiʻi Advanced Technology Society (HATS) team made up of UH West Oʻahu and Honolulu Community College that won the competition in December 2016, becoming the first team from the state to win the prestigious national contest. Team Captain Hayworth estimates each team member put in about 17 hours daily for a total of about 200 hours each. It was not just the time involved that propelled the team to victory, though. Teams from UH West Oʻahu have done well in cyber security contests, finishing in the top three in four competitions during the past two years. The UH West Oʻahu’s Information Security & Assurance program is led by Dr. Matthew Chapman and is designated as a National Center of Academic Excellence in Cyber Defense Education by the Department of Homeland Defense and the National Security Agency through academic year 2021. HCC has been recognized as a National Center of Academic Excellence in Information Assurance Education Two-Year. HCC’s Computing, Electronics and Networking Technology (CENT) program is led by Prof. Aaron Tanaka.